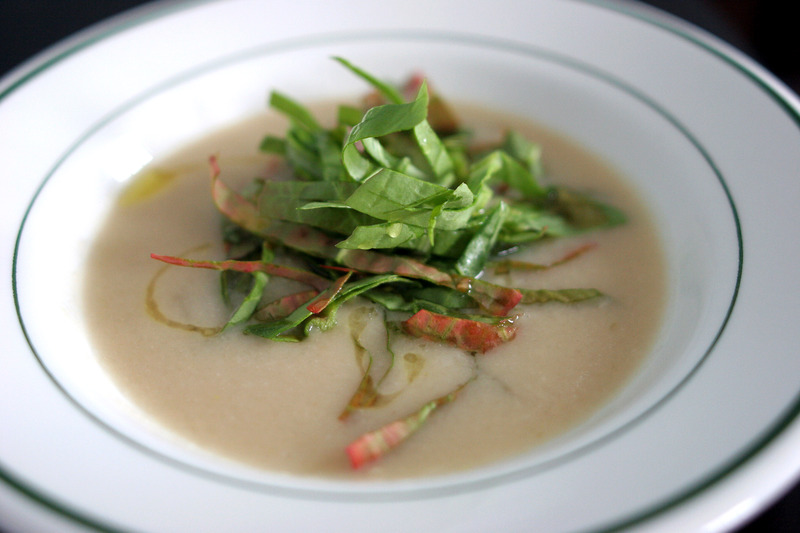 Thursday night is soup night and I am calling this recipe “between-the-seasons soup.” Still cold in the Northeast and perfect for a smooth creamy white bean soup topped with the tanginess of sorrel leaves. These greens on my plate are the taste of Spring. As a child in Brazil, I would eat azedinha (translates little sour leaves) from my mom’s herb garden. I got a bunch of Sorrel from Rebekah Rice’s 9 mile farm in Delmar. 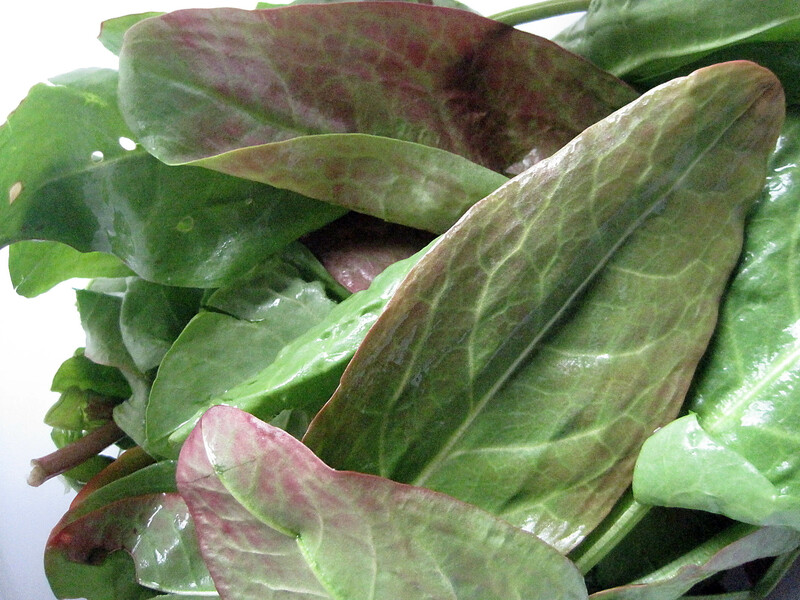 Sorrel is an excellent source of vitamin C and A. Each serving provides approximately half of the daily recommended intake of vitamin C.
Blend all ingredients in a blender or immersion blender. Simmer the soup for 15 minutes. Serve with chiffonaded sorrel leaves.